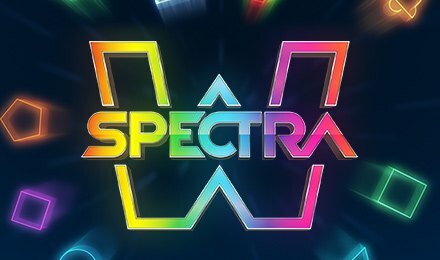 Spectra slots is a beautifully and luminous themed online slot game. The mix of modern and classic by Thunderkick will have you enticed and winning big! Spectra online slots is a 5 reel and 30 payline game that is enclosed by a futuristic feel. Mixing classic symbols with the neon symbols make it more interesting. About the features, the main attractions are the Nudging Wilds and Wild Respins. Landing the wild symbol will trigger the Wild Respin feature and a respin will be awarded where the nudging wilds will move closer to the middle. If another wild symbol lands on the spin, another respin will be awarded with potential payouts of up to 2,400 times your stake.